Anne has been my coach for several sessions. I've been surprised and delighted to clarify my struggle about what I need to do in my business, moving closer to my goals within a short time frame. And I'm finally taking practical steps to write the book I've always wanted to write. Some “should/oughts/musts” are on hold, allowing me to get to the stuff that sings for me. I am no longer all over the place - saving time, energy and money. I am no longer berating myself for not doing what doesn’t work for me! Anne gets me. The alchemic process between us has propelled me forward. The coaching has been challenging at times, but with a compassion and understanding beyond what I expected. Anne’s skilled process and lack of an agenda has created the space for me to step forward and claim my dream. Coaching with Anne has been an amazing experience. It has helped me understand what I'm about and what really gets me going in the directions which motivate me. With her gentle but piercing (often off-centre) questions we've dived into the depths of possibilities and peeled away the extraneous before nailing the true desire and course. I've turned around personal negatives, using them to my benefit or finding creative ways around them. As a highly analytical person I've even learned to tune in to what my body is doing. I see my life changing course now as widely vague ambitions and hopes have been condensed to a still point of focus. I look forward to each session with an excitement and joy I've not felt for a while and I predict great things will come out of these sessions for myself and my world, in alignment with my core values. I was in the process of starting my own business when I signed up with Anne for coaching. Anne has helped me to look for new ideas, options and opportunities in solving a problem. She does not do the thinking for me but gets me thinking more broadly than I might otherwise. I don’t have to keep going over old ground. I have never felt rushed or that Anne has a different agenda because of her ability to actively listen and to work at my pace. She asks me the most challenging and perceptive questions. Without these I wouldn’t move forward. I have found this journey with Anne to be exciting, motivating, freeing and fun. I look forward to each session as I know I will learn something new or crack open an issue I thought was too difficult to deal with. I would recommend Anne to anyone who is looking for a life coach. At a time in my life when I face tremendous change and challenges, Anne's coaching has helped me traverse some difficult situations in the workplace - by communicating without being attached to outcomes, and being respectful of other people's needs. I've identified some big picture goals and given voice to what I stand for personally, in my community and the world at large. As I've become more aware of the effect of patterns and cycles of behaviour, I've become free to make more conscious choices around them. I now understand my way of thinking more effectively and can counterbalance positive and negative emotions and see the possibilities they both present. 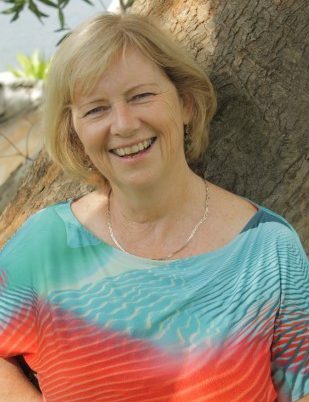 I have achieved some unique results with Anne that have helped me to communicate ‎more powerfully and compassionately with family and colleagues, whilst understanding my own strengths. It's been a very enjoyable process and Anne is a wonderful mentor.